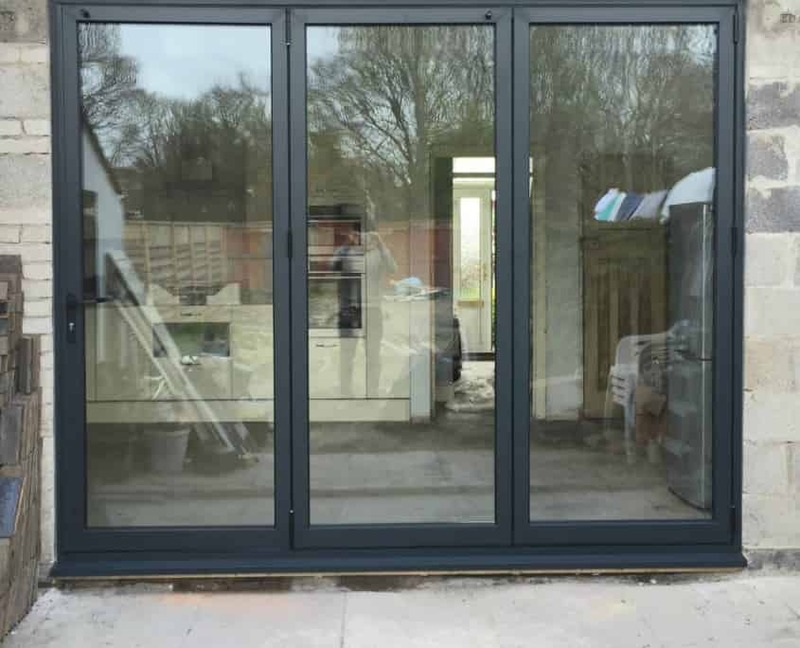 Here at Inspire, we only offer the very best in aluminium bi-fold door design. 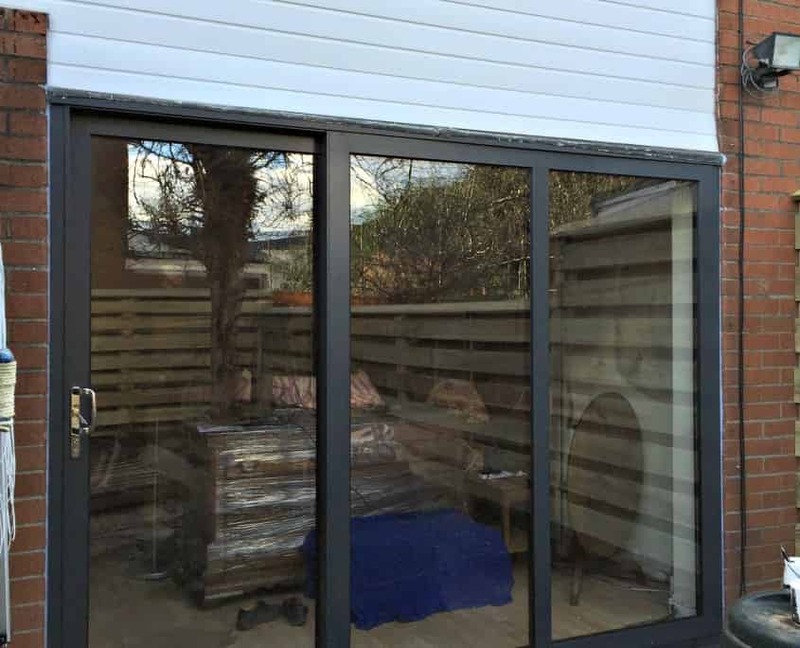 Allowing all homeowners in Cardiff and surrounding areas to enjoy the benefits of unbeatable standards of aesthetic and performance, we’ll always make sure you get the perfect aluminium bi-fold doors for your home. Aluminium frames are slowly, but surely, becoming an accessible and affordable option throughout all residential homes. Robust, timeless and durable, aluminium not only offers the best, it maintains it for an exceptional amount of time. If you’re looking to outfit your home with a modern, minimal look, then our Aluminium Bi-Fold Doors are for you. An incredibly contemporary design, our Aluminium Bi-Fold Doors allow for a beautifully seamless connection to your garden. With 90% of the door aperture folding away neatly when the doors are open, this eliminates any static fixtures obstructing or restricting views or access. 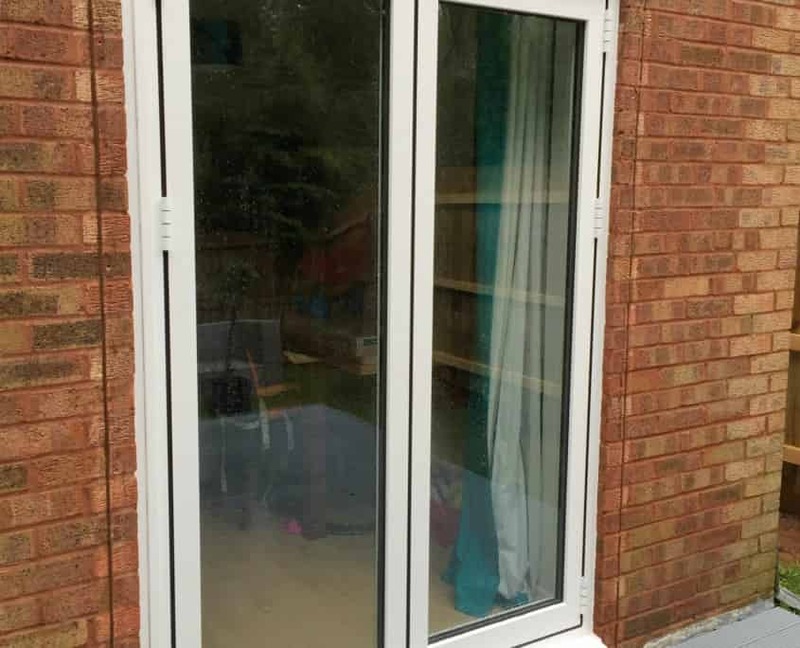 Although a seamless connection is achieved when they are open, they act as a high performance barrier against the elements when closed. Featuring outstanding energy seals and fantastic thermal efficiency, our Aluminium Bi-Fold Doors will keep you warm, dry and happy. 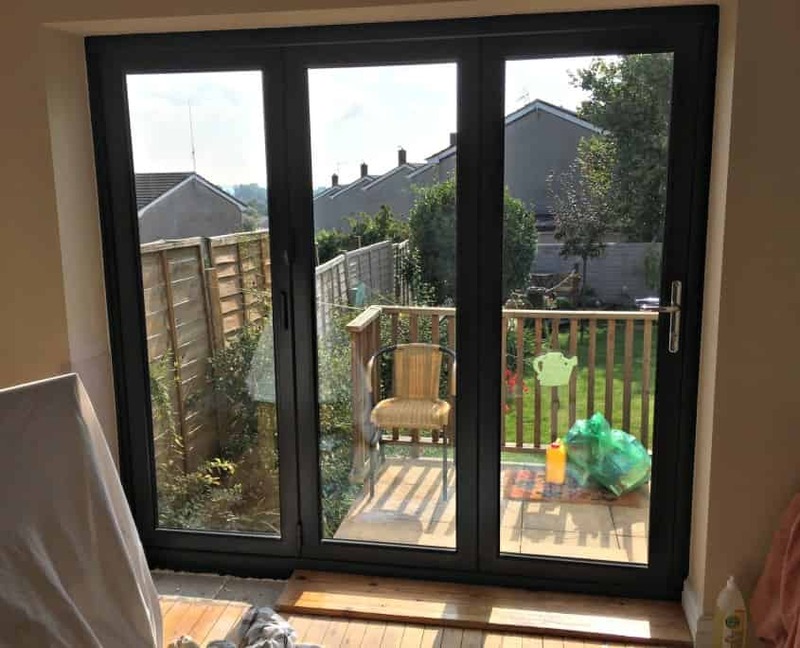 Their intelligent multi-leaf design means that our Aluminium Bi-Fold Doors can be fitted easily to both contemporary and traditional homes throughout Cardiff and surrounding areas, you can also easily choose opening options and order to ensure you maximise space and practicality. We also offer a wide range of colours and finishes to ensure you get your perfect look. Earning their stripes in thermal efficiency, aluminium bi-fold doors have proven themselves to uphold outstanding standards of energy management. 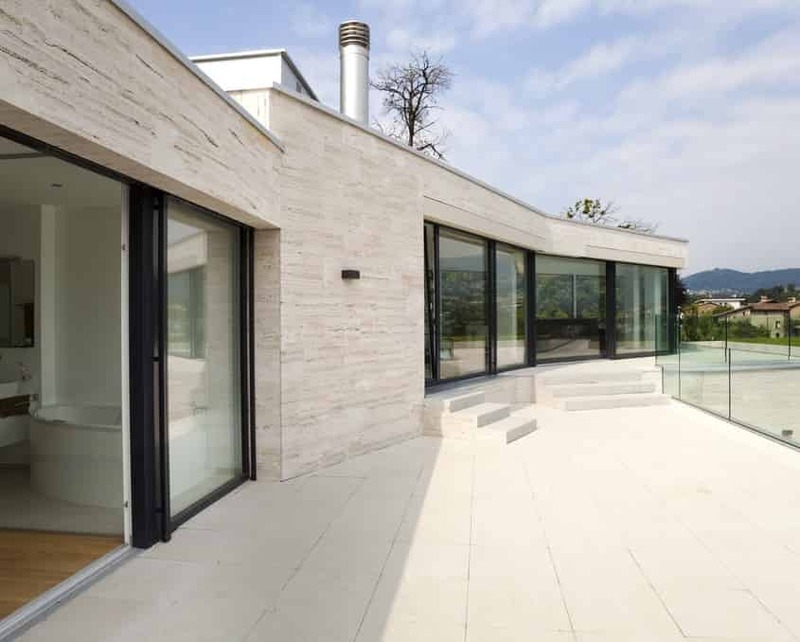 They have disproved notions that uPVC is a superior material for thermal efficiency. The innovative Polyamide bridge acts as an outstanding thermal break that eliminates draughts and heat transfer throughout. Although sleek by appearance, our Aluminium Bi-Fold Doors offer exceptional standards of inherent strength and security. Their modern design means that their security is not reliant on weight or bulk, it is down to design. This way, you’ll eliminate the need for heavy, cumbersome doors whilst still enjoying fantastic levels of home security. Guarantee peace of mind, today. All of our Aluminium Bi-Fold Doors utilise the outstanding design from Origin. Using innovation that is sourced from nearly 15 years of experience, they feature a design that has been meticulously created to achieve optimum and precise standards of performance. Built to satisfy, our Aluminium Bi-Fold doors are available in a wide range of colours and styles to ensure that your ideal aesthetic is easily achievable. With a generous, outstanding 20 year guarantee, the aesthetic you want will be able to bring you joy for a substantial amount of time. To ensure an outstanding level of performance, you can choose to outfit your aluminium bi-fold doors with a wide range of accessories, including finger safe gasket technology, smooth running free glide system. Low threshold option, high-security frames, eight-point locking system, premium hinges and high-security shootbolts that are installed into the top and bottom of the door for a consistent standard of reliability. Don’t miss out on sleek, beautiful and high-performance aluminium bi-fold doors that excel across the board, and ensure a wonderful home improvement experience throughout. If you’re interested in our exceptional aluminium bi-fold doors, then all you have to do is get in touch with us via our online enquiry form. We have a prompt, informative and helpful team that always ready to aid you with any enquiries you have. Alternately, why not design your perfect bi-fold doors with our online quoting engine below. It’s easy to use and you can receive a tailored bi-fold door price in moments.